Home > Used Vehicles > Dodge > Challenger > 2014 > 2014 Dodge Challenger RT MOPAR EDITION - #04 OF 10! 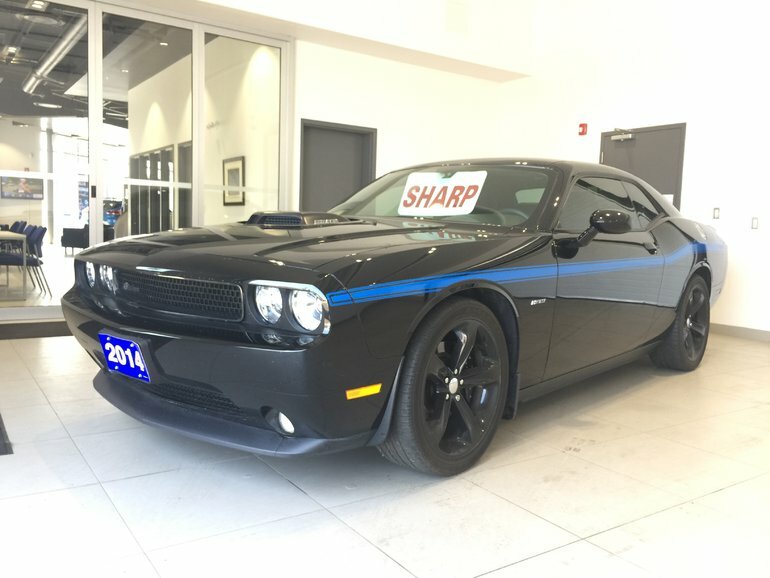 2014 Dodge Challenger RT MOPAR EDITION - #04 OF 10! 2014 Dodge Challenger R/T 'Mopar 14 Edition' #04 of 10 produced for Canada. 375 hp 5. 7L V8 Hemi VVT engine, 6-speed manual Tremec transmission w/ Mopar factory pistol grip shifter, loaded, heated leather, air conditioning, tilt & telescoping steering wheel, cruise control, power windows/door locks/mirrors/driver's seat/moonroof, AM/FM CD audio system, and much more. This rare car has been babied its entire life, and it is beautiful; inside and out. This is a future collectible. 5.7L V8 SFI OH - 8 cyl. Interested in the 2014 Dodge Challenger RT MOPAR EDITION - #04 OF 10! 375 HP! COLLECTOR CAR! ?